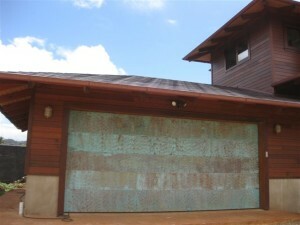 One of the perks of working with Carroll Garage Doors is access to our Design Center for previewing door designs. You can try out a complicated panel design or experiment with different colors and materials. See if you like the look of natural wood, or prefer low-maintenance steel with a fiberglass design overlay. Decorative hardware should also be considered. While a sleek, modern door may not need any hardware, other styles like Spanish Colonial aren’t complete without decorative pulls, handles, and hinge plates. No matter what type of custom garage doors Agoura CA you may ultimately decide on, they will definitely need professional installation. Considering that installation errors can damage your door, you’ll naturally want to get the best installation possible. Failing to get the proper balance and tension in the garage door opener has the potential to make the doors open unevenly or even burn out your garage door opener over time. When you trust Carroll Garage Doors to both provide and install your new doors, you can rest assured that the doors will deliver superior performance. Because our technicians are so thoroughly experienced, they can set up just about any type of garage door and opener right the first time.